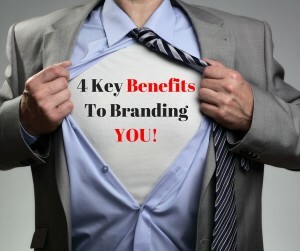 4 Key Benefits To Branding YOU! I believe there are 4 Key Benefits to Branding You that every good marketer should know and understand. Branding Yourself will set you apart from others. Becoming an expert and the go-to person in your niche is what branding yourself is all about. When you understand that no matter what changes around you in your business you are the one constant. How many times have you had to justify or defend your product, comp plan, or company because of the competition? If you are branding you then the only competition that you have is yourself. Remember you are unique and no one else can be or compete with YOU, Inc. This will also push you to continually work on personal growth and training. I can’t tell how big this one is. Everyone out there is spamming their company links, product links, and opportunity links everywhere. When you become that person who is branding themselves and producing daily VALUE to your target market you become the oddity. You stand out because there just aren’t that many MLM’ers that are taking the time to add value and brand themselves. You become unique and therefore Stand Out in the Profession! When you understand that people work with those they Know, Like, and Trust. Instead of trying to sell the benefits of your great product you’re selling the value that you offer. It doesn’t matter what the product is or what the comp plan is you letting people find out who YOU are and what you have to offer. For example, if you are teaching people about how to get more leads and are constantly providing value for that topic people will hunt you down for your training. 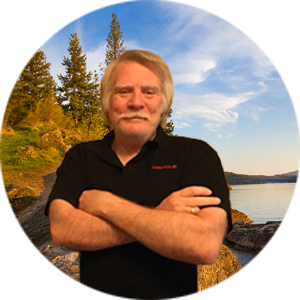 You are Selling Yourself as the expert in your niche no matter what business you are with. I hope you all understand that you DO NOT own your MLM Business! When I say that I mean that you do not control if they decide to change the product, comp plan, or just shut down. You have no control over what the company does, but you have total control of YOU! Once you become the BRAND people look to follow you and not necessarily your business. You have ALL of the control when it comes to Branding You and the only one that can make or break that is YOU! How To Use Gravatar To Enhance Your Personal Branding. If you are REALLY Serious about building your brand and becoming an expert in your niche then you NEED to have Ray Higdon’s Course on Becoming the 3 Minute Expert. Those are 4 great points Ron! Brand you and you will be the only competition you have! Thanks for sharing more value as always! This is KEY! Great points Ron.